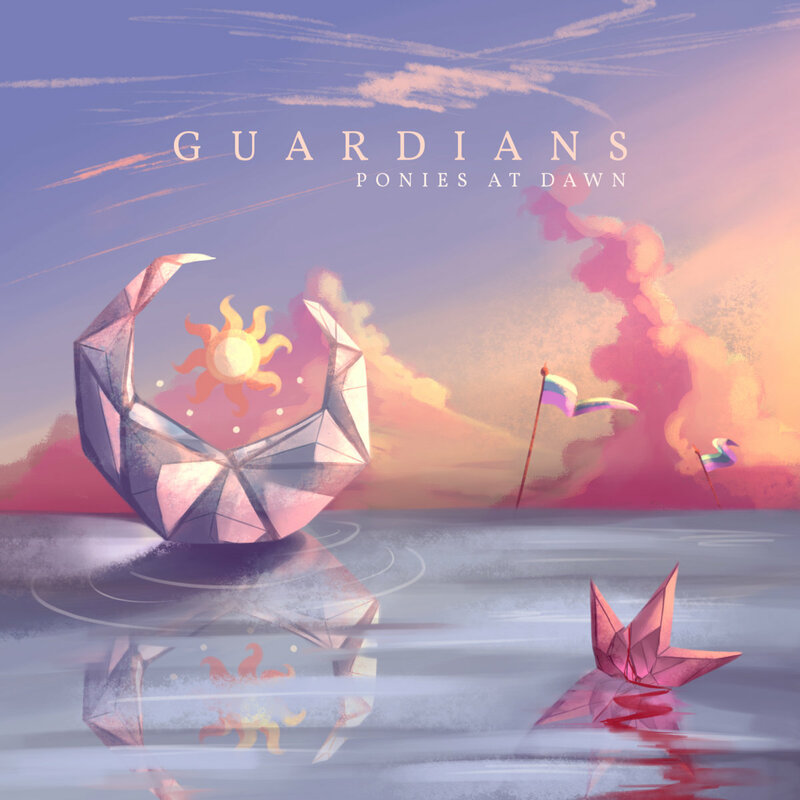 Ponies at Dawn is a non-profit netlabel sharing all proceeds to the artists who upload their work. It’s a noble cause, but it wouldn’t mean much if they didn’t have good artists creating worthy music. Luckily, Ponies at Dawn have that covered. Guardians, the latest of their compilations, shows right away the sheer size of their community and the quality at their disposal. I’ll start by saying this compilation is massive, 65-track massive to be precise. However, this is all too common on Ponies’ compilations. Take their previous release as an example, ‘Amity’, which packed a full 57 songs. To think all of this content is available at no cost without compromises in quality is remarkable. Better yet, Guardians will please a wide variety of tastes as Dubstep, Rock, Celtic, Electronic, Drum ‘n’ Bass and other styles converge throughout the journey. This makes for an extremely diverse ride, giving listeners completely different favorites depending on their taste. Each track is a true bag of surprises, even for a compilation. If you’re willing to explore the gigantic collection on Guardians, you’re in for a treat. You may not favor a few songs depending on your taste, but that’s alright. There’s a myriad of killer tracks waiting for you if you invest a little while. Don’t forget to support the album if you enjoyed it. I’m sure the people at Ponies at Dawn will appreciate it.